Russian road rage can go even further than you'd expect - a man pulls out an ax and a pistol! 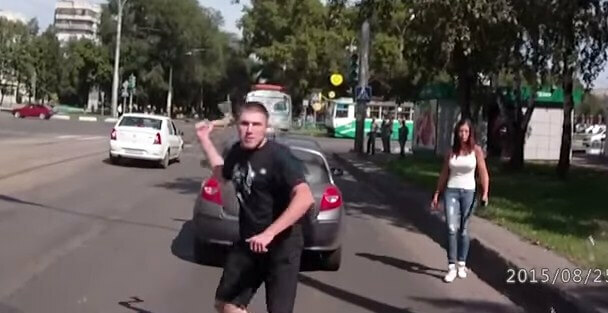 Russian road rage can go even further than you’d expect – a man pulls out an ax and a pistol! Russians and their road rage gained international popularity with the advent of dash cams. There are tons of epic videos coming out every day that show Russian drivers’ inexplicable behavior, and the lack of law enforcement authority over there. However, this video that you’re about to see just may be the craziest so far. Just a normal afternoon threatening to people in traffic with a pistol and an ax. How about you, how is your day going? For all we know, the Renault Clio was rear ended by an UAZ truck. As always, the drivers started arguing over whose fault was it but, what happened next wasn’t quite predictable. The Russian that was driving the Renault pulled out an ax from the backseat and started smashing the windows of the truck. Wow, I was wondering why axes were part of the mandatory car equipment in Russia… ha ha JK. And of course, because the ax alone couldn’t calm down the Renault driver, he pulled out a pistol and fired 2 shots at the wheels of the truck. So, this douchebag has not only put his life at risk, but also the lives of others around him. Including the life of his “lovely” girlfriend. Well, you deserve each other, guys! 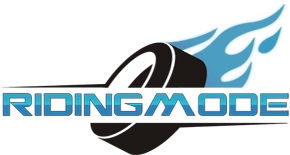 DIY – Removing A Locking Lug Nut Without The Key! Honda Reveals The CBSix50 Scrambler-style Concept! This seven year old girl doing burnouts is the best! Suzuki Hayabusa Runs The Quarter Mile In Just 6 Seconds!